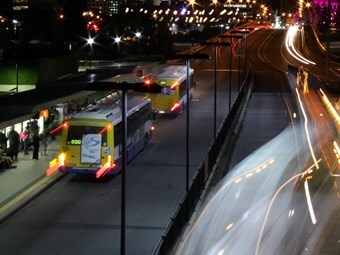 The future of transport in South East Queensland will be discussed at a free special event next month. The Transport Futures Institute helps transport professionals with training to be more successful in the transport sector in future. The institute is staging the event and Michael Kerry and Ken Deutscher - who are both involved in regional planning in the South East Queensland region - will speak about their planning experiences so far. Both speakers will cover past history of transport and land use planning and suggest where transport might be going in the 21st century. Deutscher says the event will be a great opportunity to get people thinking about transport planning. "The intention of the night is really to look back a little bit and see what we’re done for regional planning and supporting regional transport planning," he says. "It’s aiming to get like-minded people that are concerned about transport’s future to be involved in a discussion and hear about how things can be changed for the future of transport. "And see what lessons we can take for the future as we go forward." Deutscher says the first event of its kind the institute has hosted, and if successful, not the last. "We’re really just testing the water with this to see how much interest there would be." The event has a capacity of up to 50 and so far over half the registrations have been scooped up. "Transport is a pretty important issue in the community and I’d love to get people to talk about what we’ve learned." The event will be held on May 13 at the University of Queensland Business School, Brisbane, followed by networking drinks and nibbles.